Order in the next 6 hours 51 minutes and it will ship today! White Confetti Cannons are filled with large pieces of white, biodegradable tissue-paper confetti. They are a beautiful, classy addition to any celebration, including weddings! 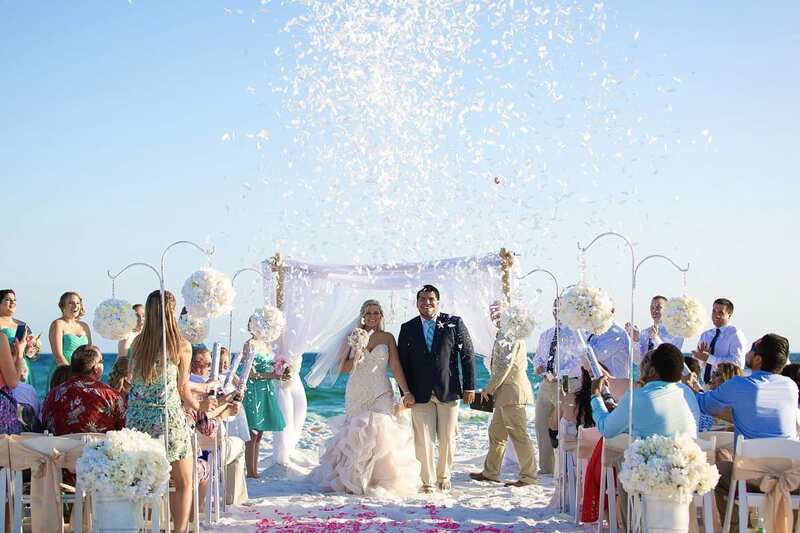 Simply twist the base to launch the confetti approximately 10-15 feet in the air. 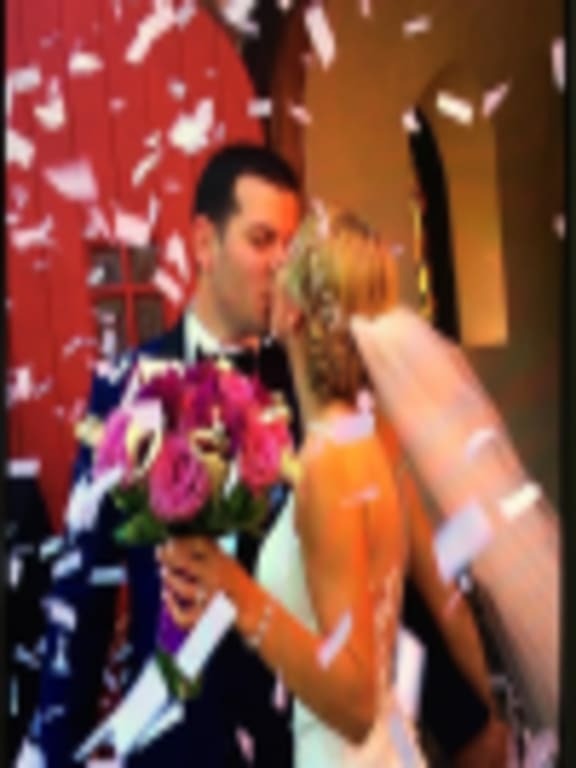 For outdoor events, we also recommend our Wedding Confetti Cannons with water-soluble confetti. 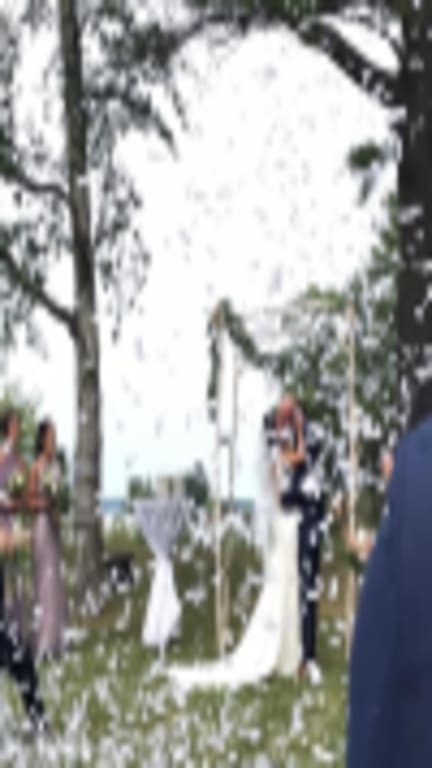 No wedding should be without confetti cannons!! 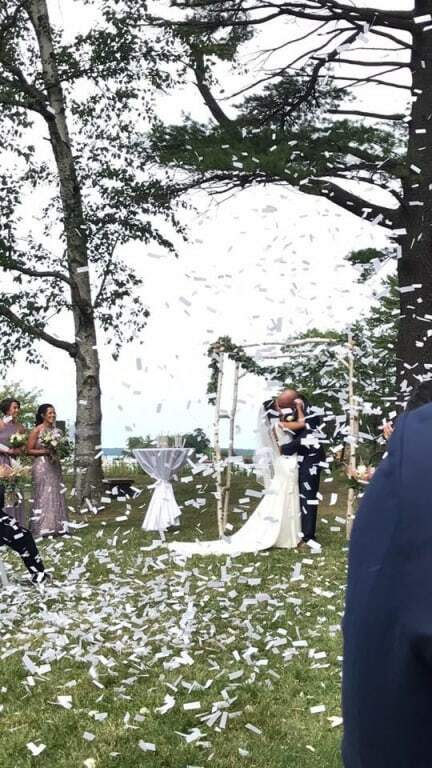 No wedding should be without confetti cannons!! These were great! We shot four above the bride and groom when their first dance ended. It was fantastic! use after wedding ceremony, when couple is walking out. loved them, would definitely purchase again. loved them, would definitely purchase again. We used the confetti cannons for a Chrildrens Christmas song to simulate snow. They worked very well! 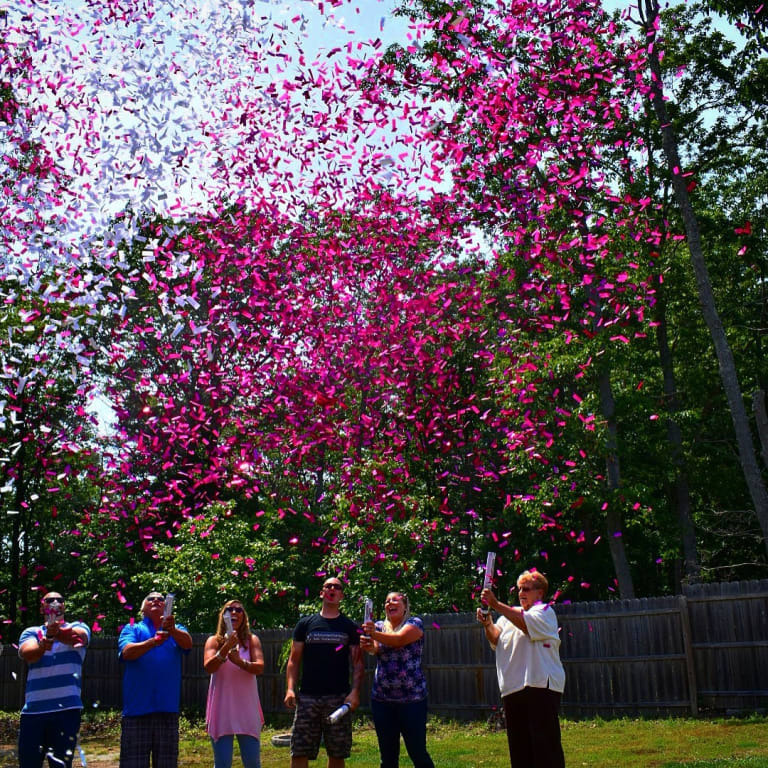 The confetti cannons were the perfect addition to my daughter's backyard wedding around our pool. However, the clean-up is awful. They're still stuck to the bottom of our pool and deep in our landscape beds!!!! HA! I will use these again.... just not outside. Merchant Response: Cleanup can take a little effort, but the good news is that the confetti in these cannons is biodegradable and will eventually break down over time. 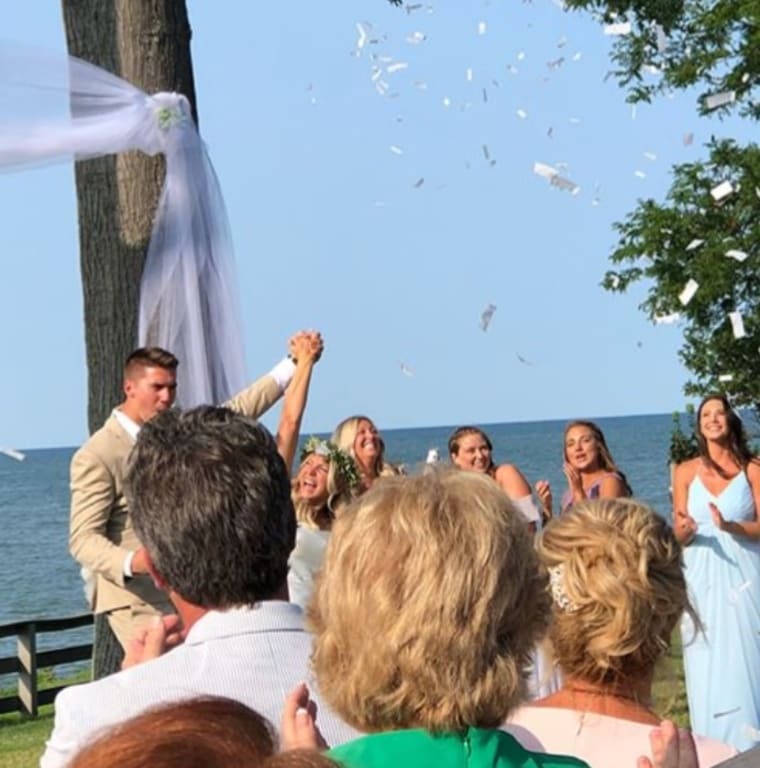 For others considering an outdoor event with confetti, we also recommend our water-soluble Wedding Confetti Cannons for easier cleanup. 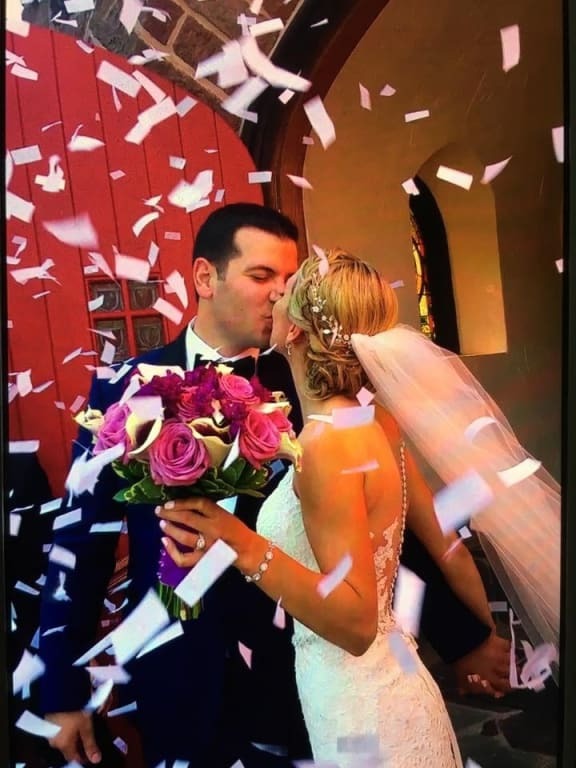 We were so happy w the confetti cannons that we strongly suggested for 2 friend's weddings. Great photo op. Happy bride & groom says it all. This confetti cannon is the best ever. The price is outstanding. Was way better visually, functionally & efficiently than the flower petals. These canyons were great!!!!! These canyons were great!!!!! These canyons were so fun. We had 50 of them for a midnight toast at our daughters New Years Eve wedding! All the guests loved them. They were just what we wanted!!!! It was super easy to use and worked perfectly. Used it as a special effect in a large group photo of children. Used silver and white and it looked like snow. Beautiful! The unsuspecting kids' reactions in the photos are priceless! The Confetti Cannons add such a fun dimension to a party! We used them at my wedding and they were awesome. Everyone loved them!! I ordered 40 for 170 people, but probably could have used 50-60 b/c we blew through them so fast! I would buy this product again! I would buy this product again! I used it for my wedding! It was awesome and looked great on pictures! A must have! A must have! This was the perfect addition to our ceremony! We had two go off on each side of us. Easy to use and made for beautiful photos. Received many compliments! Clean up, but well worth it. Highly recommended, I used 5 pink with 4 white confetti. Pictures came out fantastic. We used this for my wedding on the beach in Destin, Florida. We ordered 6 of them to shoot off when we said I do and we got some really great pictures! So happy we decided to get these! Awesome deal! Definitely recommend.